A recent online survey asks the respondent to vote on their choice for the three “most shameful” corporations, and proceeds to list out the contenders for the Corporate Hall of Shame 2018. Bayer– for further monopolizing the seed and chemical industry by merging with Monsanto, threatening to force even more small and family farms out of business globally. Beretta– for profiting richly from manufacturing weapons—and using those profits to fund the NRA and its obstruction of popular, commonsense gun safety measures that would save countless lives. ExxonMobil– for deceiving the public about climate change for more than 30 years, then attempting to intimidate the cities and states working to hold it accountable. The GEO Group, Inc.– for profiting from the mass incarceration of people of color and immigrants at its private prisons, while spending millions on lobbying and elections to protect its profiteering. Goldman Sachs– for continuing to exploit people in Puerto Rico—despite the devastation caused by Hurricane Maria—through predatory loans that squeeze maximum corporate profits from the island’s government and its people. Koch Industries, Inc.– for working to dismantle the EPA in the name of fossil fuel profits, while the Koch Brothers’ network aims to pour a record-breaking $400 million into influencing the 2018 U.S. midterm elections. Nestle– for extracting Michigan’s groundwater for mere pennies just down the highway from Flint, where residents pay some of the highest rates in the country for poisoned water. Phillip Morris International– for launching a massive foundation to health wash its image and undermine implementation of the global tobacco treaty. Shell– for its role in violent suppression of opposition to its oil projects in Nigeria and beyond, and continuing to block lifesaving climate policy globally. Veolia– for its role in the lead crises in Pittsburgh and Flint, which have endangered tens of thousands of people, particularly people of color and low-income communities. This brandshaming project is brought to the public via the following participating organizations: Americans for Tax Fairness, Climate Hawks Vote, Common Cause, Corporate Accountability, Corrections Accountability Project, Daily Kos, Democracy Initiative, Dream Defenders, Enlace, Friends of the Earth Action, Green America, HEAL Food Alliance, Million Hoodies Movement for Justice, Peace is Loud, Pesticide Action Network, People for the American Way, Plastic Pollution Coalition. In effect, it is a political marketing campaign designed to highlight the shameful actions of regressive brands. 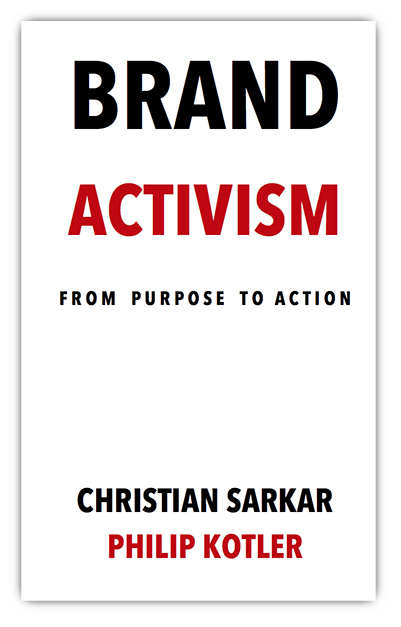 Brand activism, we should remind readers, can have a negative impact on society. Regressive brands are not new to the landscape of business. 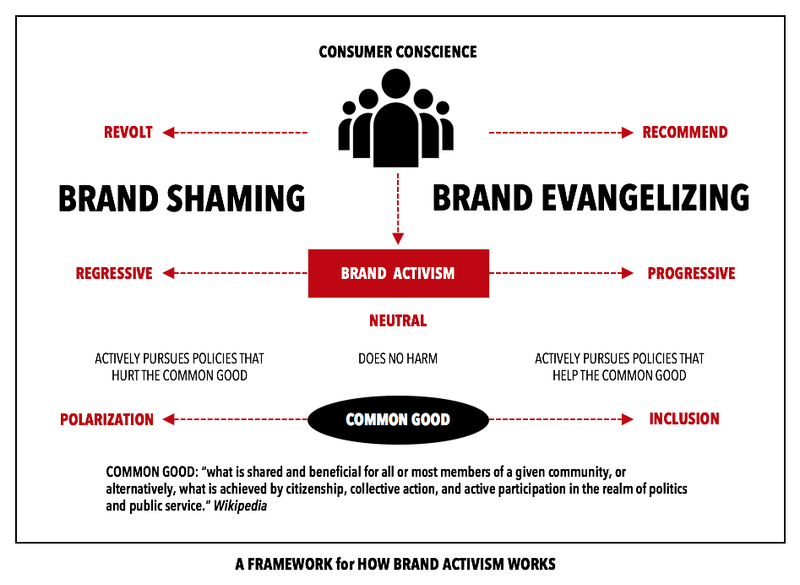 By definition, regressive brands are brands that actively pursue policies that hurt the Common Good. The question we must ask here is how do brands lose their way? How do they decide that making profits is considerably more important than people and the planet? Is it because they don’t see the impact they cause? Is it because the unfettered pursuit of “shareholder value” makes them blind to reality? Or is it because the government agencies that are responsible for regulating industry are failing to do their jobs? In the current political climate, we see new proposals for change coming from various sources. Citizens are beginning to understand that something is deeply wrong with our democracy. 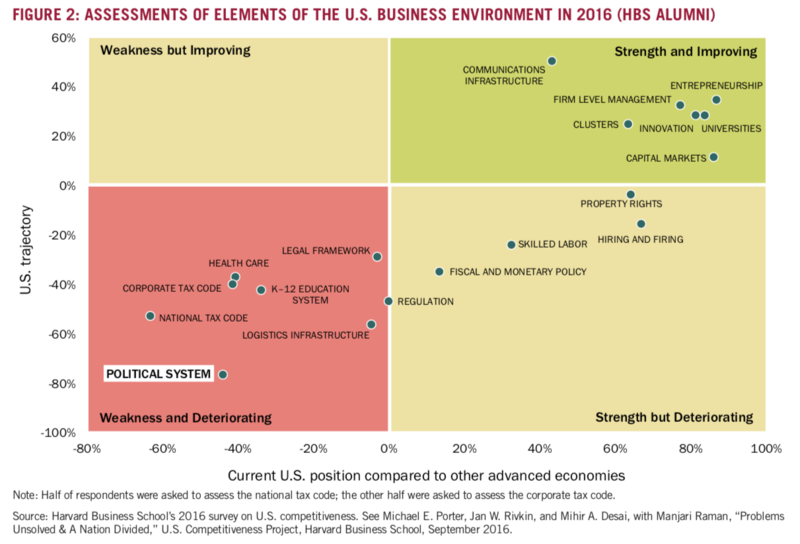 Surveys of both Harvard Business School alumni and the general public identified the political system as America’s greatest competitive weakness. It wasn’t always that way. America’s political system was long the envy of the world. It advanced public interest and gave rise to a grand history of policy innovations that fostered both economic and social progress. Today, however, our political system has become the major barrier to solving nearly every important challenge our nation needs to address. Why? Because the parties compete on ideology and unrealistic promises, not on action and results. The parties compete to divide voters and serve special interests, rather than weighing and balancing the interests of all citizens and finding common ground to move the country forward. Another recent paper, CSR Needs CPR: Corporate Sustainability and Politics, by Thomas P. Lyon and colleagues argues that firms must become as transparent about their corporate political responsibility(CPR) as their corporate social responsibility(CSR). On the political front we are going to see more proposals like the one put forward by Senator Elizabeth Warren whose Accountable Capitalism Act restores the idea that giant American corporations should look out for American interests. Corporations with more than $1 billion in annual revenue would be required to get a federal corporate charter. The new charter requires corporate directors to consider the interests of all major corporate stakeholders—not only shareholders—in company decisions. Shareholders could sue if they believed directors weren’t fulfilling those obligations. Employees would elect at least 40% of directors. At least 75% of directors and shareholders would need to approve before a corporation could make any political expenditures. To address self-serving financial incentives in corporate management, directors and officers would not be allowed to sell company shares within five years of receiving them—or within three years of a company stock buyback. Warren’s proposal has already stirred up the hornets. One way to get to the root cause of this problem is to look at the decision-making process for the business. Are their business decision-making processes that avoid “shareholder-value” myopia? Are there lessons from progressive brands that we can learn from? In this article, we find an alternative screen for decision-making used by the Tata Group. Founder Sir J.N. Tata believed that the “acquisition of wealth was only a secondary object of life”; he considered Tata Sons’ mission was to “serve and help” the communities in which it operated. Even today, despite the growing wealth of the Tata group, company leaders are not featured in the listings of the richest people in India or the world. This is because two-thirds of the shares of Tata Sons, the holding company of the group, belong to the Tata Trusts, including the Sir Ratan Tata Trust, the Sir Dorabji Tata Trust, and the JRD and Thelma J Tata Trust. As one of the largest and oldest Indian philanthropic foundations, the Tata Trusts have long supported causes and institutions aimed at the greater good of India and mankind, including the Indian Institute of Science, the Tata Institute of Social Sciences, and the Tata Memorial Hospital. The employees of the Tata group are also connected to its tradition of giving back to society through active encouragement of volunteering as a way of life – Tata Engage, the group-level volunteering program, is listed as one among the top 10 corporate volunteering programs in the world having achieved a million volunteering hours annually. 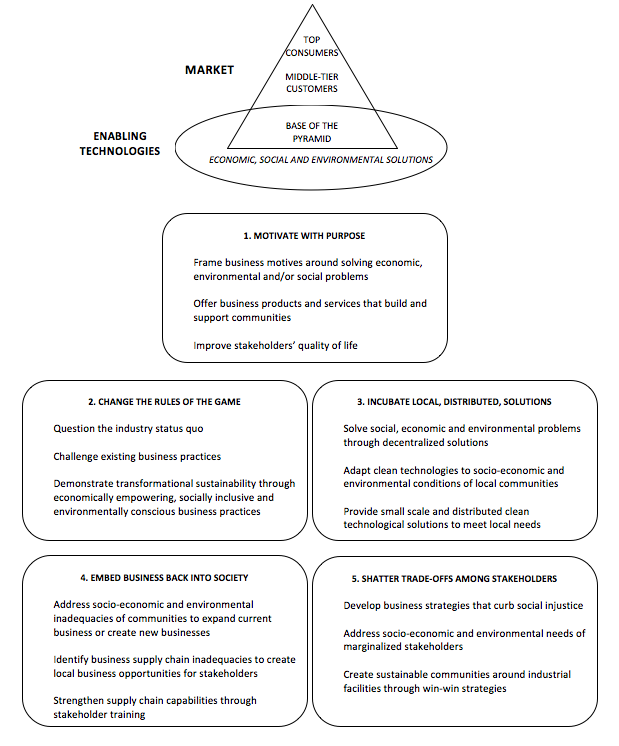 The Tata Group has developed a set of straightforward guidelines to ensure that its core beliefs about sustainability are not lost in the pursuit of growth and profits. What will make capitalism more just? What sort of screen does your company need to ensure it does not end up in the Corporate Hall of Shame?